RABEANCO, a renowned international fashion accessory brand, determines to create luxurious and extraordinary leather handbags with meticulous attitude and excellent craftsmanship. The refined leather accessories not only highlight the great charisma of women but also drawing all attention from the fashion world. FW2014 collection is based on the theme “Asethetic Metamorphosis”. RABEANCO is delighted to invite Soo Joo Park, a famous Korean supermodel, to present the FW2014 collection with different remarkable styles. Her flattering blonde hair and cool facial expression, not to mention her aura of uniqueness, perfectly match with this season’s collection. The creations presented by Soo Joo Park are undoubtedly the new fashion trend in this season. There are three variations in “Asethetic Metamorphosis” including Sheer Heaven, The Red Passion and Edgy Monster which demonstrate RABEANCO’s exclusive aesthetic concepts and styles. The FW 2014 creations are refreshing and revitalizing like a vivid butterfly turning from caterpillar. Romantic, relaxed and carefree are the best descriptions to the main tone of Sheer Heaven Collection. Putting on any bags from this collection, you will feel like lying on soft cloud in the sky that brings you warmness and happiness in this dull and chilly winter. Focusing on the smooth curve and arc seam, the elegance of this collection is presented flawlessly. 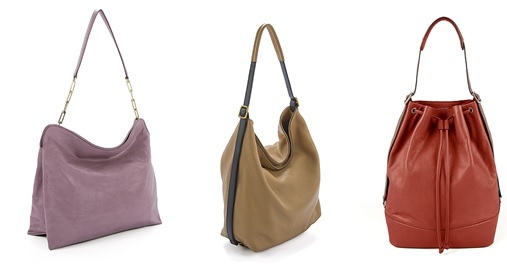 The refined tote bags in soft raw leather with shiny metal details impeccably show the purity of girls as well. Passionate career women are the muses in mind for Red Passion Collection. Special and inventive line is used boldly to demonstrate the charm and unique style of downtown women. Playful folding and layers are the highlight of this collection. It creates an incredible fashion style with neat-colored and contrasting colored leathers. The interior of the bags use a pattern of butterfly’s wing that subtly matches the theme of this season. The main concept of Edgy Monster Collection is inspired by fashion icons who follow their intuition and are dare to innovate their unique personal style. Using neat frame and simple line to emphasize contrast are the keys of this collection. Eye-catching leathers including metallic color, pattern and animal print are used to cater users with different style. The dazzling colors with shiny metal details are clad perfectly in energetic styling to demonstrate vivid fashion look. Backpack gives us an impression of casual and carefree. We can hang out easily while carrying all belongings by one single backpack. 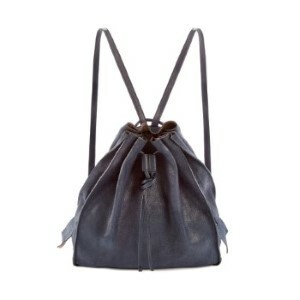 To continue the trend of sporty fashion, REBEANCO specially creates a new bucket bag with casual and cool elements. This trendy bag undoubtedly a must-have item in this season and will get all the attention. The presentation of this triangular-shaped bucket bag is not only tough and cool, but also featured with fun elements. Replacing traditional zipper by fabulous drawstring, this bag can turn from dreary square shape into chic triangular shape. The zipper at the edge also allows you to grasp your belongings easily. This functional and stylish bag must be an incredible highlight of your winter outfit.